What is probably the most anticipated PS3 game of the holiday season has been pushed back to a somewhat undetermined date due to lines from the Qur’an holy book being featured in one of the game’s level’s music. Tom Clancy Games to Merge? It seems UbiSoft is looking to combine five of its series into one big sprawling saga. In the future Rainbow Six, Ghost Recon, Splinter Cell, EndWar and HAWK could see their plotlines intermingle. They already plan to mix EndWar 2 with another title, possibly Ghost Recon, and are hoping that EndWar will become the main universe which will tie all the others. 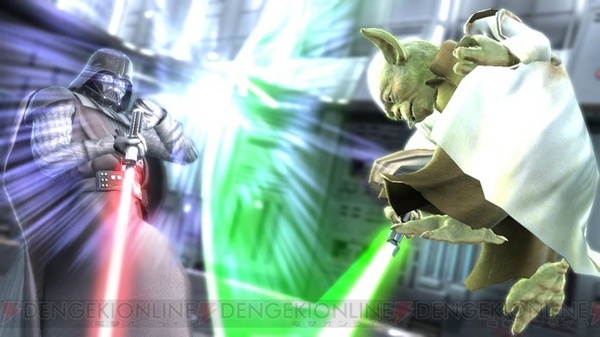 Microsoft has announced that on October 23 Japanese players will be able to download Yoda (for the PS3) and Darth Vader (for the 360) in Soul Calibur IV. Here is where the cookie crumbles: each player will have to fork about $6 (¥600 and 400MS Points) for them. So if you feel like being treated like a stupid kid with holes in his pocket, go ahead and download… provided you live in Japan. Considering they have said that it may also be released on consoles let us hope that it doesn’t bring the quality of the title down.